I firmly believe that one of the most important investments we can make for the future is in the youth of our community. After all, it’s the young people of today who will become the civic leaders, community organizers, and business people of tomorrow. Unfortunately, there are many youth in our city who are facing major challenges in their lives - everything from landing their first job, to confronting the challenges arising from new technologies, to struggles with substance abuse. Only by working together can we provide the supports, mentorship, and opportunities they need to achieve their full potential and thrive right here in Kingston. Over the last four years, I have been proud to champion a made in Kingston youth employment strategy, where we can help youth who are facing barriers to find job opportunities, and where young people finishing up their schooling can build exciting careers right here in our city. I have been privileged to sit around the table with Kingston’s first-ever Mayor’s Youth Council so that I can hear directly from youth themselves about their ideas and priorities. It has also been tremendous to see Kingston leading the way in working to end youth homelessness, thanks to the collaboration of many different local agencies and the proceeds coming from the Kingston Penitentiary tours. While we have accomplished a lot, there is still much work to be done. As Kingston’s Mayor I will continue to be a champion for the facilities and supports that will help meet specific needs in our community. One of the priorities I’ve heard from many in our community is about the need to help Indigenous youth. That’s why I’m committed to working with the local Indigenous communities to establish a dedicated cultural space where young people can explore their heritage, and where Indigenous and non-Indigenous of all ages can meet and learn and build relationships. Another critical issue for young people right now is mental health. One of the needs I have heard about is the need to create a separate space where youth struggling with mental health issues can get help in a less intimidating, more youth friendly environment. 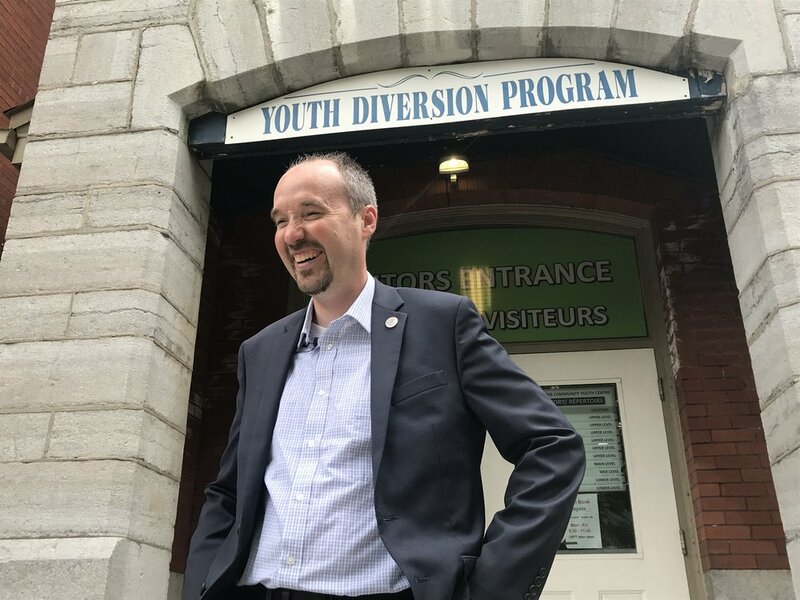 As mayor, I will work with together with police, social workers, health care professionals, and funding agencies to put develop the best possible support network for youth in Kingston so that our community can lead the way in promoting resiliency and wellness. One of the greatest strengths of a city our size is our ability to collaborate: to bring different agencies, organizations, businesses, and government representatives to the same table to work together. I believe that, together, we can make Kingston a model for other communities across the country, to empower our young people and realize our potential as a vibrant, inclusive community for all.